Item#-UNI-CON241.If you’re looking for a vacation away from dehydration, sit back and relax because you’ve come to the right place. Balancing Thermogel Mask offers up deep concentrated hydration at its most soothing and nourishing. Cooling and calming, it balances parched skin into something altogether more comfortable.““For dry to normal skin. Balancing Thermogel Mask – non-irritating properties – is excellent for soothing skin after exfoliation or extraction. 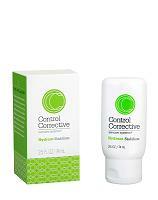 Ideal for rehydrating skin back to normal after sun exposure, a ski trip, a long flight or in punishing weather. Item#-UNI-CON706.It may have taken years for your body to become sun damaged, rough, dry, peeling or unevenly pigmented. But after just a few short weeks of using Intensive Body Smoothing Lotion every day, this body peel in a bottle will be smoothing it all out quite evenly, thank you.““For all skin types. Powered by 20% glycolic acid, Intensive Body Smoothing Lotion can even out the roughest of situations including bumpy keratosis pilaris on the arms, mottled age spots on the chest, or dry cracked skin on the knees, elbows and feet. Item#-UNI-CON109.Adequate moisture means more than just a pretty face; it's absolutely essential for healthy skin function too. Light but rich and silky, unscented Ceramide Daily Cream restores the skin's hydration content and prevents moisture loss while helping ward off signs of aging to boot.““For normal to dry skin. Strengthening the lipid barrier helps maintain the skin's optimum water content. With appropriate moisture, skin looks, feels and functions the way younger skin does. 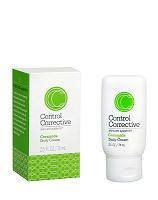 Ceramide Daily Cream also contains vitamins E and A help fight off aging free radical damage. Item#-UNI-CON290.Thirsty skin – on your face or body or both – can't ask for better than this skincare equivalent of a tall glass of water. Hydrant Stabilizer is a super-moisturizing, oil-free gel that immediately relieves even the most extreme dehydration with soothing water-based moisture.““For all skin types. Skin dehydration can derive from your own natural body chemistry, too-drying topical products, harsh weather conditions, environmental pollutants, medications or poor diet. Whatever the source Hydrant Stabilizer enables the skin to hold on to beneficial moisture. Item#-UNI-CON289.Overactive, hot-tempered oil glands are just crying out for a voice of reason. Light and silky and with a hint of citrus, Oil-Free Healing Lotion calms, purifies, tones, repairs and balances out too-oily skin with superb and soothing oil-free hydration.““For normal to normal/oily skin. Hydration is just as important for oilier complexions as it is for dry ones. The key is to keep the moisture greaseless as does Oil-Free Healing Lotion which also works to reduce sebum imbalances. Item#-UNI-CON711.Time to wake up and do the delicate skin around your eyes a favor. Lightweight and non-greasy, Collagen Eye Defense glides right on to treat the signs of aging – fine lines, uneven skin texture – you're seeing now while helping prevent them from getting any deeper.““For all skin types. Featuring a superior blend of penetrable lipids, Collagen Eye Defense gently plumps surface dehydration (without causing undereye bags) and fine lines while enhancing skin flexibility and improving texture. Item#-UNI-CON214.Completing the cleansing process, Balancing Tonic gently removes remaining traces of dirt, oil and makeup to leave your skin feeling clean and soft. This freshly scented botanically-enriched formula also helps prevent moisture loss while protecting skin against bacteria and harmful, environmental stressors.““For sensitive and all skin types. Balancing the skin's pH balance helps restore the skin's protective acid mantel and removes any surface debris. Also excellent post-peel (chemical, laser, microdermabrasion) as a skin soother and hydrator. Item#-UNI-CON104. Sweep away dead skin cell build-up so blackheads and whiteheads don’t stand a chance. By dissolving sticky pore-clogging oils and cellular debris, exfoliating Salicylic Wash creamy gel helps reduce congestion and improve skin texture on the face, back, shoulders and arms. For normal/oily/combination or acne-prone skin. Salicylic Wash deep cleans without stripping skin of moisture. Salicylic acid works by gently dissolving the sticky dead skin cell waste that leads directly to blackhead and whitehead formation. Item#-UNI-CON331.Bid farewell to harsh, scratchy scrubs and say hello to the modern way to exfoliate the skin. Crisp, aromatic and refreshing Cucumber Bead Cleanser sloughs off debris and gently deep cleans to maximum refreshment. Works well as a luxurious body polish or as a facial pre-shave.““For all skin types. 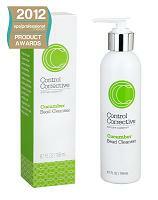 Cucumber Bead Cleanser delivers deep refreshing cleansing without irritation or abrasion. Circular polyethylene granules in a cream base efficiently exfoliate pore-clogging oils and cellular debris while killing bacteria.